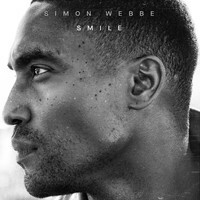 Though best known for his work with British boyband royalty Blue, singer Simon Webbe has also had a solo career since 2005. Returning with his third studio album, Smile, after over ten years, he discusses adapting to social media, being proud of UK grime, and why his nickname with the Blue boys used to be “Shaft”. So what was it about now that made you feel it was the right time to release something new? I guess it's just the stage of my life that I'm in now: I'm engaged! On my first two albums it was easy to talk about the man I wanted to be, but now I feel I'm a lot closer to that place. The timing felt right, and I think the title - Smile - is poignant as well, because we're living in a time where people don't communicate as much. We say we're more connected through social media, all the rest of it, but I don't see a lot of people smiling anymore. Yeah, I find that really hard. I think for people who grew up on Blue's music, we were around before social media, but to try and engage with a new market I've gotta be able to release music which is relatable for them to be interested. But I'm a private person! I don't like people knowing too much about me - but because I'm a celebrity, I have to tell people what I'm doing? I don't like that. But it took a while for me to realise I sort of have to, so it's about finding the right balance - some days I'll be on social media, others I won't. We say we're more connected through social media, all the rest of it, but I don't see a lot of people smiling anymore. That's probably healthy. Also, you touched on the idea that these aren't necessarily very happy times. Your album is a romantic pop album - do you ever feel it's important to be confronting more political matters, or is offering escapism equally important? My job is escapism. If I wanted to do politics, I'd go into politics. I agree that some celebrities want to voice their opinion on what's going on, and some people see it as their duty, but the way you tackle political issues is by going on file and stating what you want to change. Otherwise it's just a bunch of people giving opinions, just to get people on their side, just to create more bloody social media for themselves! On all of my albums I've always used my roots as part of my sound - my Caribbean background - my father's Jamaican, my mum's from Nevis. Also I didn't want a whole album of just the same kind of subject - "You broke my heart, why did you do that, blah blah blah" or whatever - I wanted something a little bit more fun. With Blue you used to do quite a bit of rapping, and there seems to be less of that on this album. 'Dance On My Own' has a bit of rap - I don't need to overdo it, because my market is maybe someone's grandma, I don't know. I don't wanna put too much of that stuff on there, it's just an influence. But I'm also doing a mixtape right now! I grew-up with Wu Tang, then it evolved into Eminem, and then it involved into Drake. But I'm loving the grime scene right now - it's blowing-up all around the world. Wherever I take my records, people will be talking about UK artists like Stormzy or Giggs or Bugzy Malone, and I'm so proud! The fact that I came from the hip hop background but wasn't able to do it for money - that's why when I wrote 'All Rise', I had to put it in there, just to get it off my chest! (Laughs) And that's basically what I'm doing with this mixtape, getting a few things off my chest. In general is that what you've been listening to lately - Drake and grime? Oh no, no - I don't really listen to music other than classical music! I listen to Classic FM in the car, I might flick through 1xtra, Capital, Radio 1 and 2, but if I'm doing a long-haul drive I like to listen to classical. I like it because it reminds me of when I was young, and used to watch cartoons - so I'm listening to something that sounds like it's from Tom & Jerry - and it probably is. Okay, well one thing is that you might be a cousin of Keisha, formerly of Sugababes. Is that true? Oh yeah, we're family. My family's so big, it stretches all the way to [Salt N Pepa's] Sandra Denton. My family's been in the music business for years, but I wanted to make my own path, not off the back of somebody else. So now I can mention that kind of stuff, but I wouldn't have. I'd love to duet with her, cos I love her voice - one day, you never know. You've sparked an idea in my head! If it ever happens we will happily take credit. We have to ask: what's going on with Blue? Well we were just in Marrakesh yesterday, which is why I'm knackered. We're kicking! We're kicking all the time. We did a corporate gig - if you wanna have a party, have a good time on the dancefloor, you know who to call. It's always us. People are always pleasantly surprised. Do you feel like there's a lot of preconceptions about you coming from a boyband? I don't care. I always say this: if they haven't got a Blue album, they don't really care about me, so why should I care about them? They probably know of Blue, but they've not taken the time. The people who have downloaded my music, if they've got opinions I'm gonna listen and respect that. The other thing we read on the internet was that your nickname is "Shaft"? Shaft?! Oh, bloody hell. (Laughs) I've not been called Shaft in, like, years. That was something that the boys came up with because I always wanted to wear the leather outfits, the long jackets. And Ant was like "bloody hell, Shaft!" and it just stuck! Are we gonna see some of those outfits supporting this album? (Laughs) I'm more of a suit guy now, I might be in a three-piece. I'm 39 years old now - even when I wear a cap now I think, "Why am I wearing a cap?". Is there anything else you want to tell us about the album? It's just an album with a bit of something for everybody. It stands alone in its sound. And it would be a great gift for Christmas! (Laughs) I think everybody needs a smile in their lives.